Handcrafted out of wood, Analog Watch Co aims to remind the wearer of nature. Their innovative design features the first ever soft and flexible wooden strap. They spent months researching, prototyping, and sourcing materials. Countless caffeine-fueled hours experimenting, testing, and creating. Analog Watch Co is a small and independent business based out of Philadelphia, Pennsylvania. They care about craftsmanship and beauty in simplicity. Aspiring to transform and re-imagine unique and beautiful materials. The Analog team are inspired most by nature - leaves, trees, rocks, trickling water falls, crickets at night - they love it all! 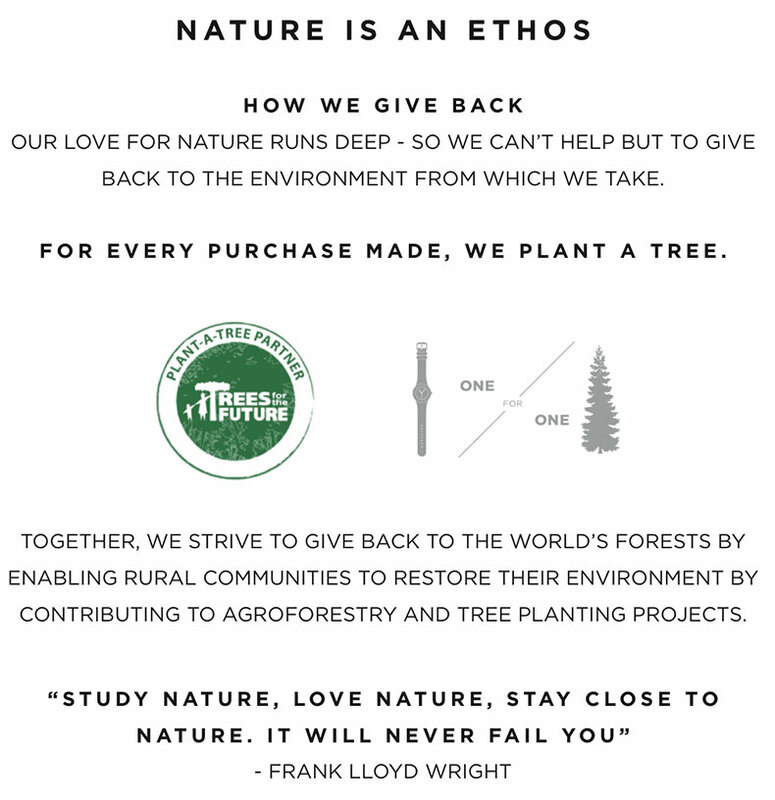 Because they love nature, they contribute back to the environment by planting a tree for every watch that is sold. Mother Nature Approved! !